MF Steel has more than 20 years experience in the manufacturing and installation of indoor and outdoor balustrades and railings. We use the highest quality products that combined with our workmanship expertise will provide you with a product you can trust and be proud off. 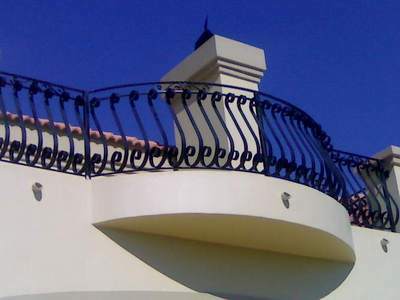 Our Balustrades and railings are custom made according to our customers needs and requirements. Workmanship on all our Balustrades and railings are guaranteed for 1 year. At MF Steel, we apply a primer, undercoat and top coat in a variety of colours. This gives a very long lasting and robust finish and prevents rust and degradation. We can do the coating in a vast range of colours to blend your balustrade into its environment. We can also provide you with a choice of colours to suit your company’s brand image. We can offer great lead times as we keep all of our steel for Balustrades and staircase railings in-stock. Depending on workload we deliver most of our products within two weeks. However we will not make a time commitment that we can’t keep.